- Quick and Easy Set up on Soil or Hard Surfaces in minutes. 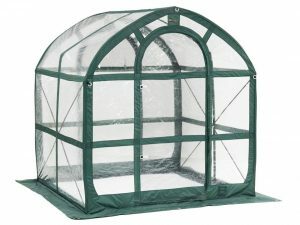 - Protects your plants and extends your growing season. - Clear PVC material with UV protection for longer life. - Promotes and maintains high humidity levels to create a superior growing environment. - Open floor allows greenhouse to be setup over existing trees and bushes.